There’s something very special about walking into a Lakeside business and being greeted by name, asked about your well-being and shown the concern and attention you deserve as a customer. It is one of the many reasons we appreciate our local businesses and their proprietors. Understanding that these same businesses have developed a network that includes relationships with other neighboring businesses and that they, like you, are investing their resources into our community and helping to make our Lakeside economy strong. Smaller businesses are powerful; they are what makes our community vibrant and unique. 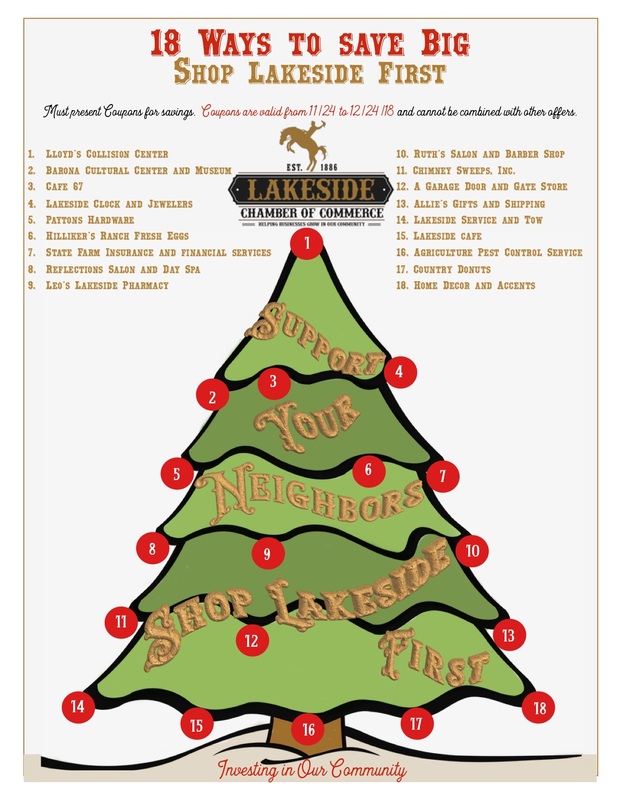 They are the reason the Lakeside Chamber has partnered with American Express this year to bring you this Shop Lakeside First event. 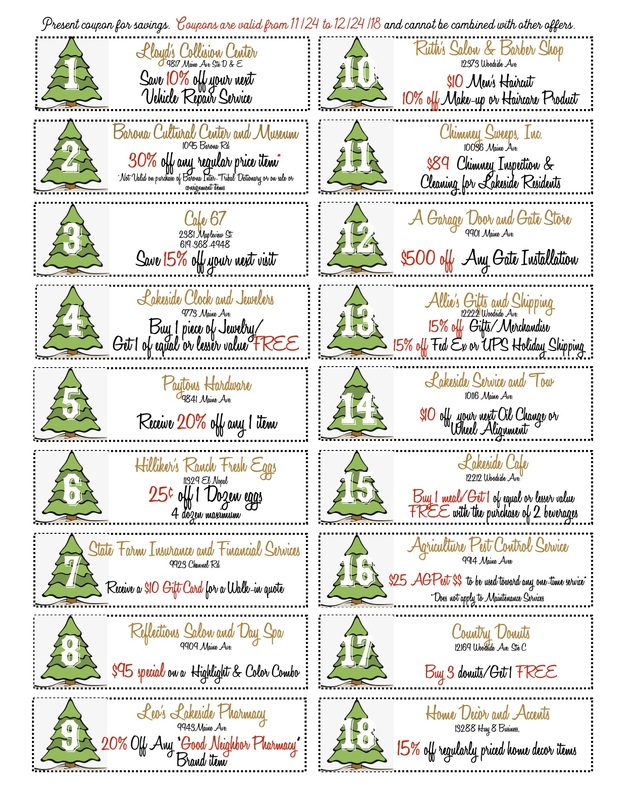 Take a moment to review this flyer; show your appreciation by using these coupon offers and bring more holiday shopping to Lakeside. The promotion begins on Saturday, November 24 and will extend through December 24. We have offers as delicious as donuts to those as necessary as household or auto repair and maintenance. Merchants who will help you with your gift-giving needs or a night out on the town. Let’s work together, show your support for one-another and watch our community grow and thrive because we made the effort to Shop Lakeside First.